Just how realistic is ‘too realistic’ when it comes to toys? 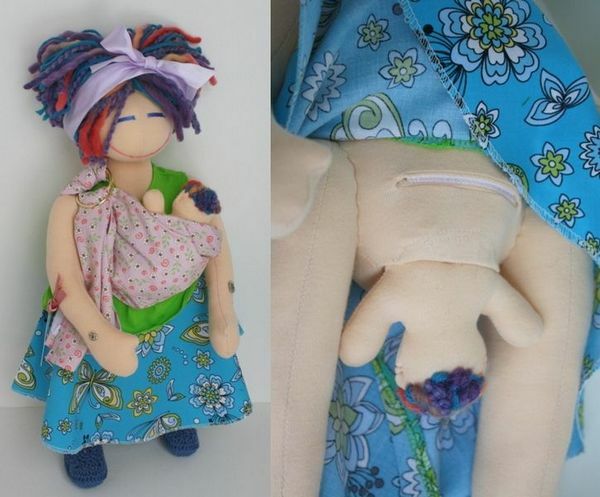 MamAmor has created a range of handcrafted dolls that show various birth scenarios, from vaginal birth to a c-section birth and even a VBAC birth (that’s Carly, the vaginal-birth-after-caesarean doll shown above). 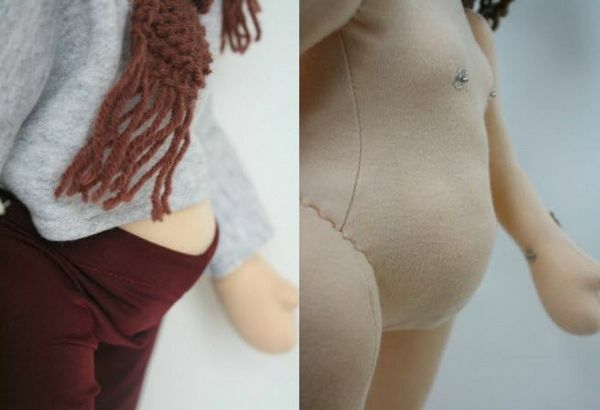 The details on each doll are accurate in a delightfully crafty way – expect an umbilical cord, a placenta and a clever way to show breastfeeding (with some strategically placed press-studs). I do think it’s a nice touch that mother and baby have matching hair, even if that hair is an unlikely shade of hot pink! Also available are all the accessories a new mother doll needs including a nappy bag, a baby-carrying sling, special nursing clothing and even tiny teething necklaces. And if that’s not enough, MamAmor custom-make dolls so that expecting mums can have a doll that is their perfect match (helpful for explaining to your toddler what lies ahead). 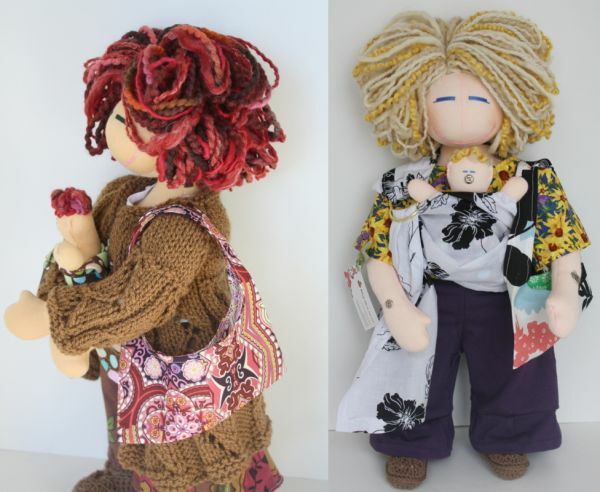 Although part of me is screaming ‘too much information’, the fact that each of the dolls is unique really appeals – just like every person’s birth experience is different, so are each of these exquisitely made dolls. Dolls are priced from CAD$170 and MamAmor ship internationally. So, over to you Babyologists – would you buy a birthing doll?